Three granted patents are related to ISS National Lab research by Procter & Gamble and Fiber Optics Manufacturing in Space, providing compelling evidence of the value of spaceflight R&D. Peer-reviewed publications showcased knowledge advancement across myriad fields, including work by student scientists. Success stories from Hewlett Packard Enterprise, Apple, and others complemented notable in-orbit firsts from ISS National Lab service providers and users. Progress and success of users and laboratory facility service providers showcased the value of the ISS National Lab in FY18. Three patents directly tied to ISS National Lab R&D were granted, demonstrating the innovation achieved by companies using the orbiting laboratory. These successes are accompanied by several other published patent applications and peer-reviewed journal articles that indicated the value of the ISS National Lab via public dissemination of results to scientific peers. Additionally, anecdotal success stories and in-orbit “firsts” continued to highlight diverse value and impact from the ISS National Lab. In February, three patent applications were published related to ISS National Lab research performed by Procter & Gamble (P&G)—two of which were granted in September. Spaceflight has been a part of the P&G research portfolio for almost a decade, with experiments studying complex fluid systems under time scales not possible on Earth. The patents describe proposed improvements related to consumer-product functional characteristics and shelf life. Convection and other gravity-dependent phenomena are reduced or absent in microgravity, which enables highly accurate, repeatable, and measurable processes for materials science initiatives in upstream R&D and in-orbit production. For more information on these projects, see the following resources. An additional patent granted in June relates to production of the optical fiber ZBLAN on the ISS by Fiber Optics Manufacturing in Space. ZBLAN may exceed the performance of other ﬁbers in common use across many sectors—including use in medical devices, sensors for the defense industry, and telecommunications—and the patent describes operational methods for future commercial microgravity ZBLAN production systems. In-orbit manufacturing may reduce defects that can form within ZBLAN fibers, which would increase functionality and value of the product. In FY18, 17 published academic journal articles detailed results related to ISS National Lab investigations in the fields of biomedical research and particle physics, including a student-authored publication. 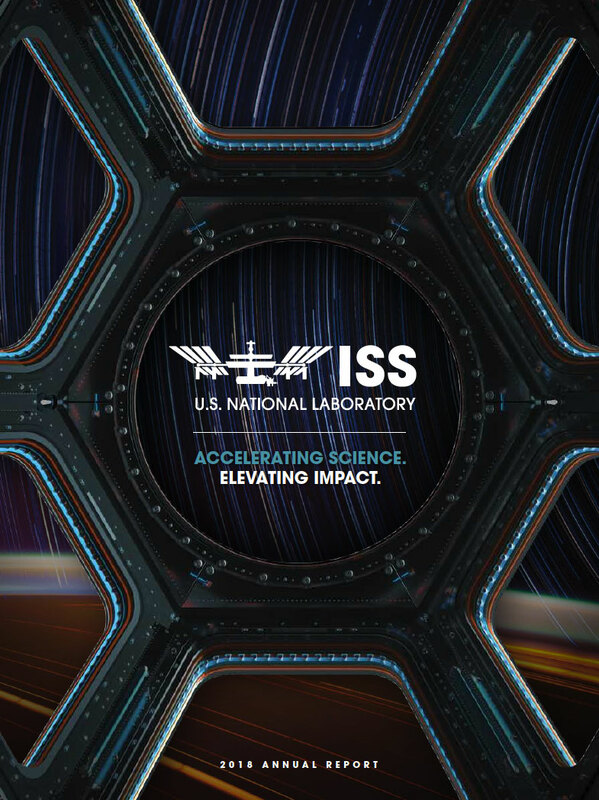 For a detailed list of FY18 academic literature describing ISS National Lab projects and results, see Publications, and for a full citation list of all publications related to the ISS National Lab, see http://issnl.us/ar1849. Additionally, Stem Cells and Development, a globally recognized premier source of clinical, basic, and translational research on stem cells and their potential therapeutic applications, published a special space issue in FY18, highlighting work from ISS National Lab researchers: http://issnl.us/ar1822. 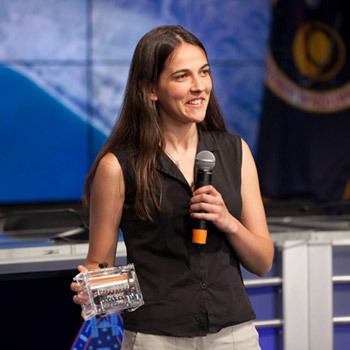 2015 Genes in Space winner Anna-Sophia Boguraev presents her experiment during the SpaceX CRS-8 prelaunch briefing in April 2016. One FY18 article detailed student research resulting from the inaugural Genes in Space competition—an investigation that validated a new miniPCR system for use in space and successfully used the system to detect epigenetic changes in zebrafish embryos. For more information on this project, see the following resources. Student researcher Elizabeth Reizis showed that the T-cell Receptor Excision Circles (TERC) assay works as it should in the space environment, which may help study microgravity’s effects on immune cells. Student researcher Sophia Chen demonstrated space-based use of a technique to measure several different microsatellites (segments of repeated DNA sequence) in a single assay, which may help study genetic changes linked to spaceflight radiation exposure. Individual R&D and private-sector achievements in FY18 highlight the range of ISS National Lab accomplishments. 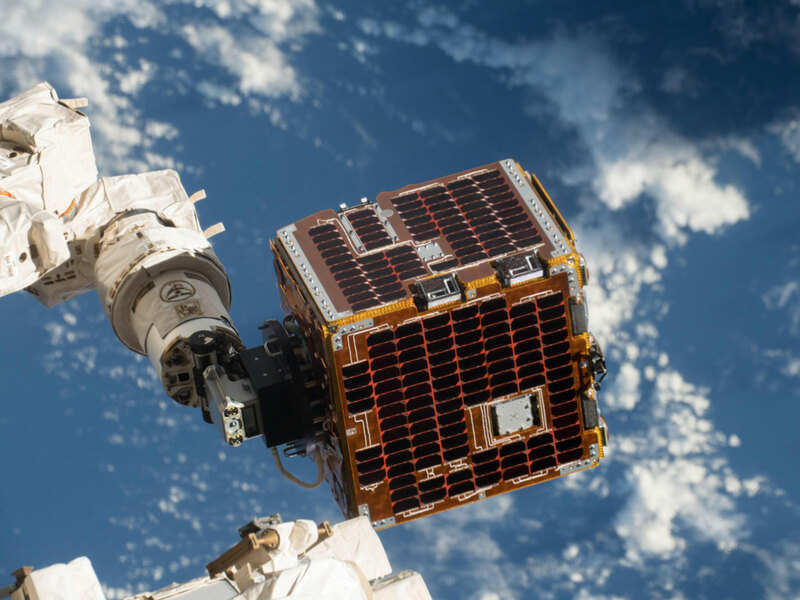 NanoRacks successfully deployed its largest microsatellite to date during the first deployment using the Kaber Microsatellite Deployer, a program that allows for deployment of a larger class of satellites (up to 100 kilograms) from the ISS. NanoRacks then broke the size record again during its third major microsatellite deployment: http://issnl.us/ar1825. The Made In Space fiber optic puller system was successfully activated for the first time onboard the space station, representing the first ISS National Lab project designed to demonstrate the commercial merit of manufacturing optical fiber in space: http://issnl.us/ar1826. Zaiput Flow Technologies validated the company’s proprietary gravity-independent liquid-liquid separation technology, the first of its kind, onboard the ISS National Lab. Instead of relying on liquid sedimentation to separate liquids, Zaiput’s system relies on surface tension and provides efficient continuous flow extraction, which is critical for chemical synthesis and could lead to significant advances in drug development and production: http://issnl.us/ar1828. The Spaceborne Computer, developed by Hewlett Packard Enterprise (HPE), completed one year of successful operations. This first long-term demonstration onboard the ISS of supercomputing capabilities from a commercial off-the-shelf computer system, achieving more than 1 trillion calculations per second, is demonstrating the ability of HPE’s innovative software-hardening process to protect the computer’s hardware from the harsh conditions of space: http://issnl.us/ar1829. Twyman Clements, co-founder and CEO of Space Tango, was named one of the Top 100 “Most Creative People in Business 2018” by Fast Company, a business media brand with an editorial focus on innovation in technology, leadership, and design. 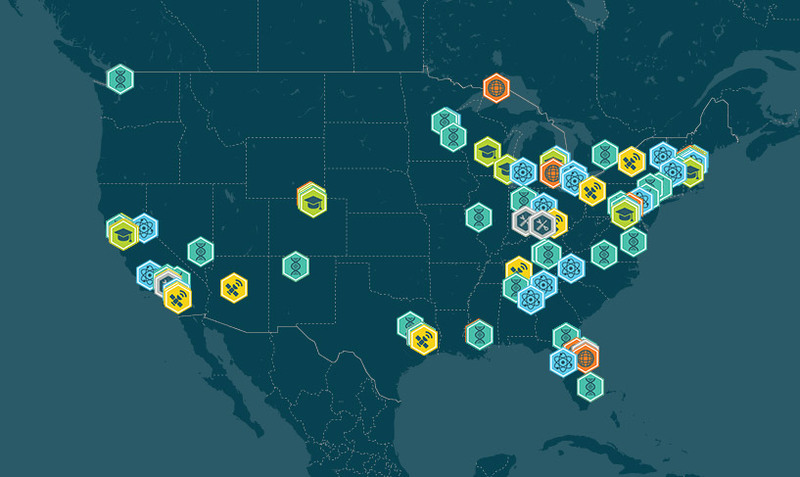 Space Tango is an in-orbit facility manager and the Implementation Partner for several ISS National Lab R&D activities and education partner programs: http://issnl.us/ar1831.